Due to the popularity of this class it is mandatory for ALL participants to RSVP (a.k.a reserve your spot) for SPIN classes. Due to the limited number of bikes we have a maximum of 16 spots open. If there are more than 10 people in a class, we will separate the participants into two groups (half starting on the bikes and half off the bike doing strength exercises). By splitting the class it opens up more spots to this very popular class. All spots are first come first serve; however priority will be given to those individuals who have RSVP on myCampusLife prior to the start of class and who show up 5 minutes before the class starts. 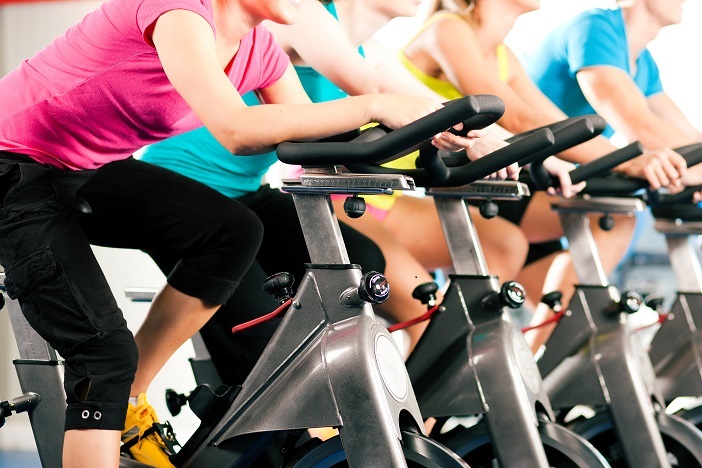 If this is your first time doing a “Spin” type class, we ask that you arrive 8-10 minutes early so the instructor can show you how to setup your bike. Cut off for submitting your RSVP is 30 minutes before the class; after this time reservations are not valid. Select “I will be attending” and then click the blue RSVP TO EVENT button to submit your selection. Note: Guests will not be accepted. Everyone must RSVP on their own account. Arrive to class early. Spots will only be held until 4:05 p.m. If you do not arrive in time you risk losing your RSVP. Click here for the How to RSVP pdf with visuals from myCampusLife website. Do not RSVP unless you are sure you will be attending. If you RSVP and are a NO SHOW, on your third offense you will lose your ability to make further reservations to future classes. You will still be welcome to come to class, but no longer guarantee a spot through the RSVP system. Spots reserved through RSVP system, must be claimed 5 minutes before the start of class (4:05 p.m.) or else the reservation is no longer valid and will be give up to someone else. The Cave (E182) is located the far southwest corner of the the Envision Financial South Gym (E176). Please be aware varsity basketball practice may be in session when arriving to class. Use the far southeast doors at the end of the main foyer. Walk long the edge of the gym, as close to the bleachers as possible. Stay alert when walking through the gym, basketballs may come towards you. We look forward to seeing you in The Cave (E182)!